Here's the latest update on my TBR pile. It seems to grow faster than I can read, but that's my fault. I love books, and whenever I read an interesting synopsis or back cover blurb, I am want to read that book. I actually wrote two reviews last week for The Children's and Teen's Book Connection (TC&TBC), and I have five books on my desk that I need to write the reviews. I am also almost finished another book. I removed all the books from this list that had been read and reviewed as of the last time I posted about my TBR pile. Any book that appears in bold is something I've read and reviewed since February 15th. The total count now stands at 64. Wow! Stay tuned to The Book Connection because things are going to be busy around here, especially as we get closer to the release of my first children's picture book, Little Shepherd Boy. Just a reminder to all our readers that tomorrow is the last day to enter for your chance to win a copy of The Things That Keep Us Here by Carla Buckley. Find more information about this contest here. "WOW - this book is poignant and persuasive, and packs one powerful punch! Don't miss your chance to win a copy of this book. Enter now! My friend April at Cafe of Dreams is giving you the chance to win a copy of Double Eagle by Sneed Collard III. "I truly feel that Double Eagle is a story that even the most hesitant and picky of reader will dive into and love. Though Double Eagle is the first work by this author that I have read, I am incredibly anxious to read more!" She rated the book a 5 out of 5, which I can tell you is a rare thing; so the book must be superb. The suggested age range for this one is 9 - 12. Even though I don't usually talk up children's books here, I wanted to make sure everyone had a chance to win a copy of this book that April called "wonderful and delightful..."
You can read April's entire review here. You'll also find a link to the review in this interview that April performed with Sneed Collard. Your giveaway opportunity is listed in this interview. The contest is open to U.S. residents only and will remain open until midnight on March 15th. 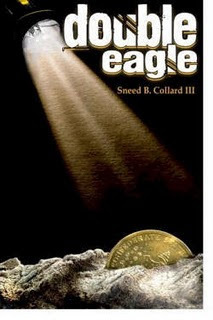 Don't miss your chance to win a copy of Double Eagle by Sneed Collard III. Stop by Cafe of Dreams today! Today's motivational quote comes from British writer and essayist, William Hazlitt. I've read, or at least featured, several books about passion here: Passion, Plan, Profit: 12 Simple Steps to Turn Your Passion into a Solid Business by Christy Strauch, Young Guns by Robert Tuchman, You Are More Than Enough: Every Woman’s Guide to Purpose, Passion, and Power by Judi Moreo, and Birthing the Elephant: The woman's go-for-it! guide to overcoming the big challenges of launching a business by Karin Abarbanel and Bruce Freeman, to name some of them. Also on The Book Connection, there have been books written because an author was passionate about a certain topic or social issue: The 100 Sporting Events You Must See Live by Robert Tuchman, How Can I Run a Tight Ship When I'm Surrounded by Loose Cannons by Kathi Macias, Saffron Dreams by Shalia Abdullah, No Teachers Left Behind by HBF Teacher, Real Men by Greg Middleton, and The Culture of Excess by Jay Slosar would all make that list. Passion is what drives us. 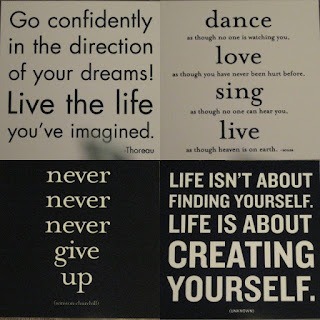 It is what moves us foward and motivates us to keep reaching for our dreams. At one point, my passion to be a published author just wasn't strong enough. If it happened, great. If not, I always had readers who enjoyed my dabblings in the world of fan fiction, and my article writing. I'm not quite sure when that passion changed. I wish I did because then I could pinpoint what was going on in my life at the time the change occurred. All I am sure of is that once it happened, I never wanted to look back. I was no longer satisfied with maybe working on a manuscript. Of the books I've read from the list above, the author's passion is evident from the very first page. Tuchman took his passion for sports and created TSE Sports and Entertainment out of his one-bedroom apartment. TSE went on to appear on Inc. 500's list of America's Fastest Growing Privately Owned Companies. Tuchman had a vision, and he made it happen. Tuchman later went on to write two books about that passion: The 100 Sporting Events You Must See Live and Young Guns: The Fearless Entrepreneur's Guide to Chasing Your Dreams and Breaking Out on Your Own. Frustrated by the deterioration in our public school system, HBF Teacher wrote a book about a fictional middle school to showcase the challenges facing teachers today. Shalia Abdullah's Saffron Dreams provides a glimpse into how things changed for Muslims living in America after 9-11. As someone who has lived in New England her entire life, I also think of the story of Mike Kittredge, the founder of Yankee Candle. Kittredge was 17 when he melted down crayons to make his mother a candle for Christmas. A neighbor liked it so much that she bought it from Kittredge, who took that money to buy wax to make two more candles--one for his mother and one to sell. And from those humble beginnings, Kittridge turned his "passion for fragrance" into a company that is the most recognized name in the candle business. This is the type of passion that we need to apply to our writing if we wish to be successful. It is going to be hard. There are going to be setbacks. But as long as our passion remains strong, we can keep moving forward, continuing to reach toward our dream. You have the power to make your dreams come true. Use it! Today's guest blogger is Kaylin McFarren, author of the women’s contemporary novel, Flaherty's Crossing. Successful yet emotionally stifled artist Kate Flaherty stands at the deathbed of her estranged father, conflicted by his morphine-induced confession exposing his part in her mother’s death. While racing home, Kate’s car mishap leads her to a soul-searching discussion with a lone diner employee, prompting Kate to confront the true reasons her marriage hangs in the balance. When her night takes an unexpected turn, however, she flees for her life, a life desperate for faith that can only be found through her ability to forgive. 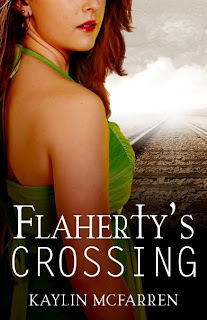 Read an excerpt from Flaherty's Crossing at the book's website. I'm often asked about the story behind Flaherty's Crossing and to be honest, it's not an easy one to tell. My father was a hard-working Irishman who aside from expecting dinner on the table promptly at 5pm never had much to share or complain about. There were disappointments, of course, since money was often tight. But my dad was content working his blue-collar job, reading the nightly newspaper, watching sports, and visiting occasionally with neighbors. My only interaction with him came from camping and skiing trips where he spent most of his time working on outboard motors and insisting that my family had a good time. I never had a serious or lengthy conversation with my dad as he preferred to keep his emotions hidden away. But sixteen years ago that all changed when he was diagnosed with colon cancer. Over the course of his two and a half year battle, I was given small glimpses into his past. I discovered that my father's inability to communicate had little to do with the affection he kept buried inside. But this cruel disease was aggressive and soon took its toll. Before long, it was time for me to bid him a final farewell. I was not only heartbroken over losing a parent but also for never knowing who this man truly was. As a result, I was angry at him, at God, at the world in general. I needed an outlet to release all my pent up emotions and found it in front of my computer, punching away on keys. This therapeutic exercise gradually evolved into a related fictional story about a woman’s personal journey to find faith and forgiveness. In the process of writing Flaherty’s Crossing and exploring my main character’s growth, I found myself learning and growing as well. I discovered I wasn't alone. There were thousands of daughters and sons like myself who had similar stories to tell – who had strained, complicated relationships, but loved their parents none the less. I've learned that through my writing, I can inspire and touch lives and can urge others to mend fences and relationships before it's too late. This novel truly has a purpose. Not only did Flaherty's Crossing heal my heart, but I believe the message it carries can make a difference for other families as well. I've chosen to donate 100% of my proceeds to the cancer research center at Portland's Providence Medical Center with the hope of finding a cure in our lifetime. This story has opened my eyes to possibilities and given me a voice that I plan to use in future stories with the intention of inspiring and uplifting lives. Although Kaylin wasn’t born with a pen in hand like so many of her talented fellow authors, she has been actively involved in both business and personal writing projects for many years. As the director of a fine art gallery, she assisted in furthering the careers of numerous visual artists who under her guidance gained recognition through promotional opportunities and in national publications. Eager to spread her own creative wings, she has since steered her energy toward writing novels. As a result, she has earned more than a dozen literary awards and was a 2008 finalist in the prestigious RWA® Golden Heart contest. Kaylin is a member of RWA, Rose City Romance Writers, and Willamette Writers. She received her AA in Literature at Highline Community College, which originally sparked her passion for writing. In her free time, she also enjoys giving back to the community through participation and support of various charitable and educational organizations in the Pacific Northwest. You can visit Kaylin online at www.kaylinmcfarren.com or visit her book’s website at www.flahertyscrossing.com. I received an email from the Penguin Group about a new video available in their Screening Room. It is titled "Type Matters" and it discusses the role of book designers in the creation of a book and why fonts matter. This is an excellent video if you are even remotely interested in how a book comes together. It's serious and funny, but most of all, it offers a wealth of information. You can enjoy this video by clicking here. As J.R. Slosar shows in this urgent, sometimes startling volume, the nation’s fast-and-loose approach to money was, in fact, a symptom of a more widespread pattern of excessive behavior. In The Culture of Excess: How America Lost Self-Control and Why We Need to Redefine Success , Slosar portrays an America where the drive to succeed and the fear of missing out manifested itself not only in self-entitled corporate fraud, but in everything from sharp rises in obesity and cosmetic medical procedures to equally troubling increases in eating disorders, panic attacks, and outbreaks of uncontrollable rage. 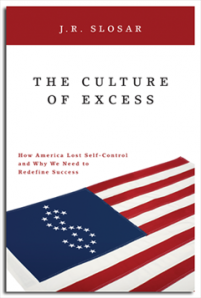 Jay Slosar, Ph.D., is the author of a provocative new book The Culture of Excess: How Americans Lost Self-Control and Why We Need to Redefine Success (ABC-CLIO, LLC, November 2009). For the past quarter-century he has run a successful private practice as a licensed psychologist and has provided direct clinical and consulting services in a variety of diverse settings. Currently, Dr. Slosar is also an adjunct assistant professor at Chapman University in Orange County, California. He also provides forensic evaluations from court referrals, specializing in evaluating teenagers. Dr. Slosar has worked and consulted for many companies and organizations, including: Health and Human Services Group, Young Life Enrichment Program, Family Solutions, Western Youth Services, Villa Millard Facility, and the Dawson Education Foundation. The services provided included: counseling, psychological evaluations, program design, staff training, and conflict resolution. He also has served as the administrative clinician for a federal contract in the delivery of an employee assistance program for federal law enforcement employees and their families. Over six years, he was responsible for all clinical and administrative needs for an $8 million federal contract which included providing training/education workshops in the areas of stress management, trauma response, supervisory management, domestic violence, and workplace violence. He co-directed the critical incident response services for operational and non-operational traumas. He has completed certification in critical incident response training from the American Red Cross and the National Organization for Victim’s Assistance. Dr. Slosar has written and published professional materials and articles, including a staff training manual for residential treatment services. He has also presented a paper at the FBI Quantico training facility on perfectionism and its relationship to suicide in law enforcement personnel. 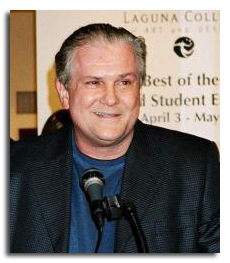 Since 1985 he has taught in both the psychology department and the health services department at Chapman University as an adjunct assistant associate professor. He was the president of the Orange County Psychological Association in 2004 and is a past board member of the California Coalition of Ethical Mental Health Care, a San Francisco-based group that promotes the ethics and integrity of mental health-care delivery services. Dr. Slosar was on the board of directors for the California Psychological Association in 2006 and 2007. He is also a Board Member of the California Association of Psychology Providers (CAPP). Dr. Slosar received his Ph.D. from the University of Southern California, earned his Master’s Degree from Wichita State University, and received his Bachelor’s Degree from Jacksonville University. He resides in Newport Beach, California. For more information, please consult www.cultureofexcess.com. I came across this great quote today and just had to stop and share. This is so important for writers. Many of us are motivated to start writing. A great idea pops into our heads and we start typing like crazy. But tomorrow, or the next day, or even by next week, maybe our level of motivation isn't so high. We realize we have to do a bunch of research in order to create a realistic setting for our characters to live in. We're not sure what comes next because we haven't taken time to sit down and really think about who our characters are and what motivates them. Suddenly, this great idea is a lot of work. What will keep us going? The habit of sitting down to write, even when we don't feel like it. Taking the time to perform the necessary research, even when it's boring. If we stop as soon as it feels like too much work, then what's the point of even getting started? At some point, I had five different works in progress in various stages. None of them was going anywhere. I didn't make it a habit to sit down and write when I needed to. I allowed life and work to get in the way of my dream. It was frustrating to say the least. I guess I didn't want it bad enough. Then one day, I put my foot down. I decided, since none of us knows when we will leave this planet, I wasn't going to keep filling up my hard drive with incomplete works in progress. I wrote. I edited. I queried. Little Shepherd will be released this fall by Guardian Angel Publishing. I am almost done with the edits to my next children's book, and I plan to sumbit it by spring. I am five chapters into my current WIP, Amelia's Mission, which is a middle grade novel. It is the good habits I've begun to form that have allowed me to make the progress I have. And if the woman once known as the Queen of Procrastination can do it, so can you. Don't let another day go by without starting the good habits that will bring you closer to fulfilling your dreams. Susie Larson is on a virtual book tour through February 26th with her book, Embracing Your Freedom: A Personal Experience of God's Heart for Justice . We reviewed this title on January 25th. You can read the review here. 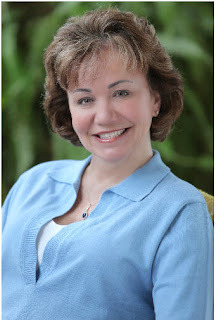 Author, speaker, and family life/teen expert Tricia Goyer, reviewed Susie's book today as part of the virtual book tour. 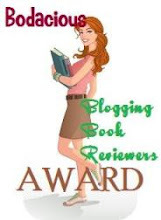 You can enter to win a copy of Embracing Your Freedom at her blog. Don't miss your chance to win a copy of this powerful, life changing book. Visit Tricia Goyer's blog today! From the mellifluous voice of a venerable American icon comes her first original collection of writing to be published in ten years, anecdotal vignettes drawn from a compelling life and written in Angelou's erudite prose. Beginning with her childhood, Angelou acknowledges her own inauguration into daughterhood in "Philanthropy," recalling the first time her mother called her "my daughter." Angelou becomes a mother herself at an early age, after a meaningless first sexual experience: "Nine months later I had a beautiful baby boy. The birth of my son caused me to develop enough courage to invent my life." Fearlessly sharing amusing, if somewhat embarrassing, moments in "Senegal," the mature Angelou is cosmopolitan but still capable of making a mistake: invited to a dinner party while visiting the African nation, Angelou becomes irritated that none of the guests will step on a lovely carpet laid out in the center of the room, so she takes it upon herself to cross the carpet, only to discover the carpet is a table cloth that had been laid out in honor of her visit. The wisdom in this slight volume feels light and familiar, but it's also earnest and offered with warmth. 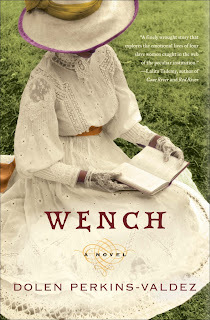 Wench: A Novel by Dolen Perkins-Valdez - A recent Top 10 Pick in O Magazine! Situated in the free state of Ohio, Tawawa House offers respite from the summer heat. A beautiful, inviting house surrounded by a dozen private cottages, the resort is favored by wealthy Southern white men who vacation there, accompanied by their enslaved mistresses. Regular visitors Lizzie, Reenie, and Sweet have forged an enduring friendship. They look forward to their annual reunion and the opportunity it affords them to talk over the changes in their lives and their respective plantations. The subject of freedom is never spoken aloud until the red-maned, spirited Mawu arrives and voices her determination to escape. To run is to leave behind the friends and families trapped at home. For some, it also means tearing the strong emotional and psychological ties that bind them to their masters. When a fire on the resort sets off a string of tragedies, Lizzie, Reenie, and Sweet soon learn tragic lessons, that triumph and dehumanization are inseparable and that love exists even in the cruelest circumstances as they bear witness to the end of an era. After witnessing the suicide of a church sister, Minister Francine Amen is disgusted with herself for turning against the young woman and refusing to accept her claim of abuse by their pastor. Now, after a short stay in a psychiatric hospital, Francine is trying to pull her life and her ministry back together. But first she must face all of the people she has hurt so deeply—including her younger sister, Dawn. But can Dawn trust her? Francine used to date Dawn's husband, Sly—who now seems just a little too interested in Francine's recovery. As far as Dawn is concerned, Sly would be better off spending his time making amends to her for his own sins. Nursing administrator Victoria Bennett has soured on love. She has sworn off men; they bring too much drama and too much pain into her life. That is, until she meets pediatrician A. J. Baptiste, a single parent who is determined to woo her. A. J. will stop at nothing to have her, and Victoria finds her resolve put to the test…but is this a fight she really wants to win? 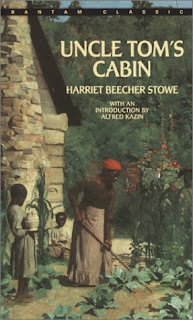 This 1852 novel provides a powerful, historical look at the treatment of slaves in the pre-Civil War South. 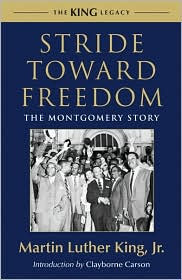 Stride Toward Freedom: The Montgomery Story (King Legacy) by Martin Luther King Jr.
Martin Luther King, Jr.’s account of the first successful large-scale application of nonviolence resistance in America is comprehensive, revelatory, and intimate. King described his book as "the chronicle of fifty thousand Negroes who took to heart the principles of nonviolence, who learned to fight for their rights with the weapon of love, and who, in the process, acquired a new estimate of their own human worth.’’ It traces the phenomenal journey of a community, and shows how the twenty-eight-year-old Dr. King, with his conviction for equality and nonviolence, helped transformed the nation—and the world. 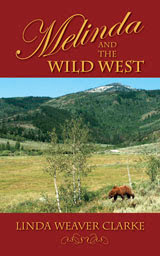 Over at Suko's Notebook, you'll find another chance to win a copy of Melinda and the Wild West: A Family Saga in Bear Lake, Idaho by Linda Weaver Clarke. But wait, I've put the cart before the horse (sorry, I couldn't resist). 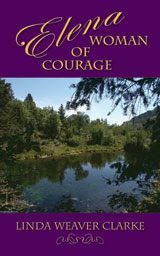 The first thing you're going to find at Suko's Notebook is a review of Elena, Woman of Courage , which is the fifth and final book in this series. When a woman settles into a strict conservative town as the newest doctor, a slew of problems begin to arise. The town is not ready for a female doctor, let alone one so strong and independent. Elena Yeates, the town’s newest doctor, must struggle to prove herself in this western town, while keeping her composure, poise, and femininity. As she fights to prove herself, the town’s most eligible bachelor finds it a challenge to see if he can win her heart. With the 1920’s rise of women’s rights, this novel gives you great insight at the struggles women had to go through, all the while watching a young love blossom! While all of the books in this series sound fabulous, and I have Melinda and the Wild West in my TBR pile, as a fan of the 1990's television series, Dr. Quinn Medicine Woman, the fifth book will probably be my favorite. "This story features members of the Roberts family and has many of the same elements I enjoyed in the author's previous books; it introduces a strong, independent protagonist, Dr. Elena Yeates, and includes an ardent romance between John and Elena. These books are enjoyable to read...Linda Weaver Clarke is outstanding at presenting the characters' thoughts...and she captures the highs and lows of romantic life rather adeptly." 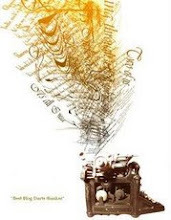 Check out the review at Suko's Notebook to find details on how you can win a copy of the first book in this historical series, Melinda and the Wild West. In 1896 Melinda Gamble—a very elegant, very naïve young woman from Boston—decides to give up her life of monotonous comfort for the turbulent uncertainty of the still untamed Wild West. Driven by her intense desire to make a difference in the world, Melinda takes a job as a schoolteacher in the small town of Paris, Idaho, where she comes face-to-face with a frightening bank robber, a vicious grizzly bear, and an intense blizzard that leaves her clinging to her life. But it is a ruggedly handsome and very mysterious stranger who challenges Melinda with the one thing for which she was least prepared—love. This giveaway ends at 5 PM PST on Sunday, March 7, just in time for St. Patrick's Day (March 17th). "Remember the luck of the Irish! Perhaps your luck will double if you find a four leaf clover. Good luck, everyone!" With mysterious letters, cattle rustlers, a spunky woman, the liar's fire, Halloween, and young love, there is always something happening. It is 1904 and Melinda is "with child" and threatening to miscarry. Her cousin Edith, a nurse, moves to Paris to care for her. Edith has wonderful qualities but never gives a man a second chance because her expectations are so high. However, all that changes when a mysterious stranger begins to write to her. For the first time, she gets to know a man's inner soul before making any harsh judgments. Whoever he is, this man is a mystery and the best thing that has ever happened to her. The question that puzzles her is whether or not he's as wonderful in person as he is in his letters. When Jenny Roberts arrives home from college in the summer of 1908, she yearns to escape her small hometown of Paris, Idaho, and accomplish something remarkable in the world. She develops a promising friendship with Will Jones, a young farmer who is new to the area and has secretly fallen in love with her. Meanwhile, her father, Gilbert, attempts to catch a legendary giant grizzly bear that has devastated the community with its haunting elusiveness and slaughter of the local sheep. In the third installment of A Family Saga in Bear Lake Valley series, Jenny finds herself in the middle of drama, adventure, and romance as she struggles to gain the power of forgiveness and the ability to face new possibilities. Deep-rooted legends, long family traditions, and a few mysterious events—Bear Lake Valley is a wonderful home to the Roberts family. Once again the Roberts family is reunited with David trying to solve personal issues and overcome his troubles! Without meaning to, David quickly becomes one with the town and its folk and finds himself entranced with one very special lady and ends up defending her honor several times. After a few teases, tricks, and mischievous deeds, David begins to overcome his troubles and figure out what he needs to do, but will it be too late for David? Will he lose the one thing that will help him get over his worries? Will David be happy again? You can visit Linda online at www.lindaweaverclarke.com, and if you simply can't wait to own a copy of these books, they are all available at Amazon.com or through Publisher Direct. Icons & Idols: Pop goes the Culture is an eye-popping visual homage and satire of pop culture that is sure to tickle a funny bone. Icons & Idols is comprised of Victor Pross’ “extreme caricatures” of the famous—-such as Elvis Presley, Sylvester Stallone, Marilyn Monroe, George Bush, Albert Einstein—-and others icons from the world of film, music and literature. Victor Pross’ most important works-–over 70 paintings and drawings–-are assembled under one volume to entertain and astound. Victor Pross is a professional artist born and raised in Toronto, now residing in British Columbia. He is known for his "extreme caricaturing". He has many high profile commissions to his credit including painting Ron Howard’s caricature portrait as a gift for the famous director, as well as, painting various agents of the William Morris Agency. He has rendered numerous International celebrities and Canadian media personalities for commercial and private purposes. Victor Pross has been interviewed on television shows such as: Canada AM, Breakfast Television, News at Noon and has been pegged by Canadian Media as "Canada’s foremost caricature artist". He has worked on various posters, comic books and CD covers bringing to each work his own unique style. He is currently instructing an art class as well as offering his services as an editorial caricaturist. Victor’s first book, Icons & Idols, features a collection of the artist’s paintings and drawings and is now available. You can visit his website at www.victorpross.com. I completed my next article that is due to my editor this week. I have to admit to being a tiny bit nervous. I wasn't quite sure if I had written exactly what she was looking for. It ended up being shorter than my normal articles, so I wasn't certain if I explored each topic in enough detail. After reading it through several times and making a couple of changes, I composed my email to her, reviewed the article two more times, made one more change, and then sent it off. "Cheryl, it’s absolutely perfect. I wouldn’t change a thing." Phew! Now I can go back to breathing normally. Have you struggled with weight, wellness, addictions, relationships or work? This spiritually based book is set up with the idea that when you begin reading it, it will lull you comfortably into motivation and creating changes “now”. Essentially, when you open the book you are on a journey, and as you read you have opportunities to “drive” or apply these ideas into your life. The book is set up as a no-excuses approach; if you say you believe in scripture you can’t pick and choose when to apply scripture to your life; it’s immediate connection, which also, helps take immediate action. You may be comfortably motivated but it may bring upheaval and some hard truth to swallow, so be prepared for no-excuses scripture to change your life. 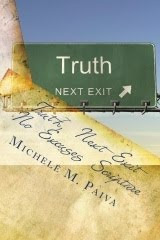 Read an Excerpt from Truth, Next Exit: No Excuses Scripture as your Personal Trainer and Life Coach ! …Abraham has three guests; one states that Sarah will have a son. She mocks him and then God announces that he will destroy Sodom and Gomorrah. Lot and his wife flee, are warned to not turn back, the wife turns back to view and turns to a pillar of salt. Later, Abraham is asked to sacrifice his son, he makes all intention to do so, as much as bringing the knife above the boy on the alter he has made, and an angel appears to him to stop him; God responds with a promise to Abraham and in exchange for his obvious obedience, “All ye nations of earth shall bless themselves by your descendants”. Jacob collects statues and accuses others of stealing his idols.When we practice idolatry, we are really placing importance on something as it if were more important than it is. We do this with entertainers, celebrities; vain attempts at our external image and more. We also do not place the correct weight upon honesty. …Some of us use truth in ways meant to hurt others; telling someone that they are inexperienced in spite of their good ideas and motivations because perhaps we fear them rising above us. Is it true that they may lack experience? Yes. But should that truth be used, or manipulated, to hold against them? Pick your battles and focus on truth and it’s part in peace. If you use truth as a weapon it loses authenticity. These passages from the Torah or Bible can teach us so much about us and others. It is wonderful that Sarah welcomes visitors and drops what she is doing to feed them. We have food shelters now, but how often would we welcome people into our home in the same breadth? We have lost the luster for personal relationships and outreach has become more contrived. When we say we volunteer we are correct; when we say we help others, we do so, but more superficially. Our world has become idol worship focused and we show this even in outreach. We brag about helping others and it is an “event” to help others. How many of us help others in silence, without public reward or group effort? We focus on the beauty around us; we want to look beautiful. We want our children to look beautiful. We buy jewelry and fancy clothes and cars, and continue to focus on the beauty of our homes and lives in almost every way. Again, we focus on false idols. We say we don’t but we give a lot of time, energy and money for celebrities to live honored lives while we actually as a whole, give far less to those who are hungry. So, we take something not beautiful. Dust and dirt. We try to rid ourselves of such. But without dirt, we would have no gardens, yards, playgrounds, and acres of forests. Dirt is really, more beautiful than a diamond. So, in your worst moments, realize that you may be looking at the wrong focus, the wrong idol, and that maybe you are much more amazing than you think. Maybe the very people you should be focusing on, are the very people you’ve ignored. When you look at yourself, before you leave your home, how much about you do you change? Or, how much do you wish you could change? What are areas of your life you are 100% happy with? When you think of things you feel are beautiful, what are they? Would you rather have a garden to feed you endlessly or riches to show off to others? What are ways you can begin to see the light within yourself without comparing yourself to others? What can you do, to create more personal relationships even while volunteering? How can you help those you volunteer for, to be touched by your generosity? Much like the patchwork of a quilt, Michele Paiva’s experiences seem topically eclectic but are sewn together by a love of empowerment, justice and spirituality. 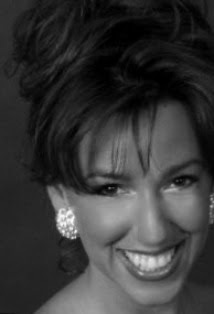 A former broadcast news anchor, broadcast reporter, telesales spokesperson, television choreographer, print journalist, editor, yoga therapist, dance and yoga studio owner, myoskeletal therapist and legal advocate; Paiva has been dedicated to bringing a voice to others and helping others achieve. A former Mrs. Pennsylvania, a title won on a dare and at first in jest, Paiva is down to earth and approachable, and credits her diverse background as a way that she reaches wide demographics. Paiva enjoys collecting I Dream of Jeannie memorabilia, cooking, spending time with family and friends and honestly, being a couch potato when not being a yogi or hiking. Paiva lives in the suburbs of Philadelphia with her family and three rescue dogs who have taken over her world. Paiva can be reached at www.michelepaiva.com where there are also free downloadable recipes and more. 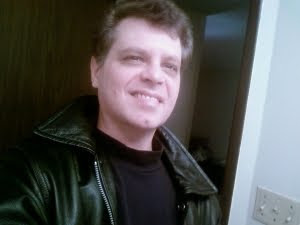 I'm trying to stay focused on book reviews so that I can open this site up again for new books at some point. Between this blog and TC&TBC, I've been whacking away at my TBR list, but it hasn't been easy. I've taken on a few more books as part of virtual book tours, and I mistakenly went to my daughter's book fair at school where I found a book I simply had to have. I admit it--I have no self-control when it comes to books. The worse part is that my daughters know it. Between the two book fairs and two regular Scholastic orders, I've spent close to $150 on new books since the beginning of the year. Now back to the infamous list. The bolded ones are those I've read since the beginning of the year. I keep hoping the list will shrink, but I would have to stop requesting to review books or buying them in order to make that happen. * America's War on Medicine: A Veteran Doctor Offers a Cure for What Ails America's Health Care System by Dr. Michael Pryce, M.D. Stay tuned to The Book Connection because things are going to be busy around here, especially as we get closer to the release of my first children's picture book, Little Shepherd. World War II Heroes of Southern Delaware by award-winning journalist James Diehl is an engaging and inspiring look into the contributions made by regional members of the United States Military during World War II. In profiling these men and women, Diehl has shared the stories of many reluctant heroes whose efforts during World War II helped the Allies win the war. While the ranks, the locations, and the level of action varies, there is no doubt that every person mentioned in this book deserves to be honored for his or her contribution to the war effort. In his Introduction, Diehl shares how this project came into being, the impact speaking to these brave men and women had on him, and how saddening it is to know that we will soon lose the ability to talk to our World War II veterans. 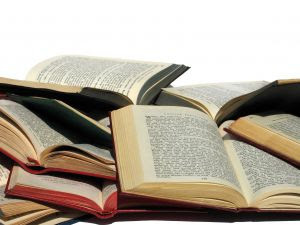 Five veterans profiled in the book died prior to its publication. I think it is also important to note, as Diehl mentions in his Introduction, that none of these people saw themselves as heroes. They were simply doing what they had to do. Each of these stories is moving in its own way, and Diehl offers you the opportunity to really get to know what it was like for these men and women during their years of service. Also included are other personal tidbits, which provide small glimpses into these people's lives. Among the many things I learned while reading World War II Heroes of Southern Delaware, is that the 261st Coast Artillery of the Delaware National Guard was responsible for protecting the mouth of the Delaware Bay from the Nazis during the war. In the special Fort Miles Insight section at the back of the book, Diehl shares the story of Horace Knowles of Lewes, Delaware, a member of the 261st, and the efforts of the Fort Miles Historical Association to return portions of the fort to their original condition. As a lover of history, I find it very discouraging to read of historical sites being sold and developed in the name of progress. I honestly believe there can be some type of balance between the two, and stories of this type of restoration encourage me to keep believing it is possible. World War II Heroes of Southern Delaware by James Diehl is a book I would highly recommend to history lovers, those who enjoy reading about World War II efforts, and anyone who is inspired by heroic stories. Even without ties to the area, there is so much to learn from reliving the memories alongside these brave men and women. 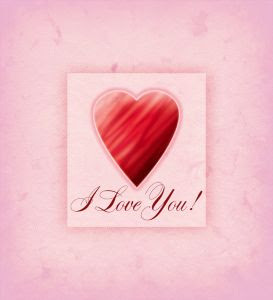 We wish all our readers a Happy Valentine's Day! 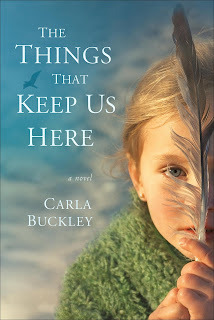 Make sure you enter this month's giveaway for a copy of The Things That Keep Us Here by Carla Buckley. 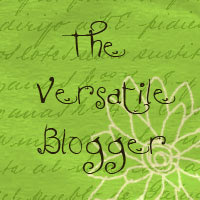 In the past two weeks it's already gotten some great reviews during Carla's virtual book tour. 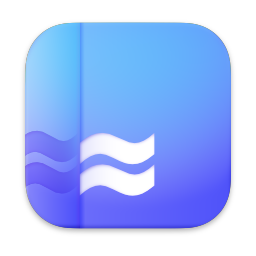 Look for more great features and giveaways, coming soon! Why Can't All Weeks Be Like This?